Looking for Unique Men’s German Suspenders? 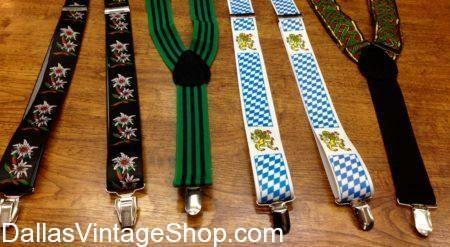 Find economy Suspenders along with One of a Kind to make your German Oktoberfest Outfit Complete! Whether you are looking for solid colors or Decorative Designs, Thin or Thick, Dallas Vintage Shop has it all!